I am weary. You have noticed I have not even had time to blog. This too shall past and hopefully I can get back on track soon. I am so glad that I can go to God and find rest. Thankfully Jesus said, 'Come unto me all ye that labor and are heavy laden and I will give you rest'. Everyone is different. Everyone needs rest for different reasons. We can never walk in other's shoes and know exactly what they need. If you have a friend who seems weary, battle worn, or ship wrecked, offer them the best - some rest. Maybe you are the one needing rest. It is not a luxury, it is a necessity. Go to God and rest. I'm in the same boat. Haven't been blogging much at all. 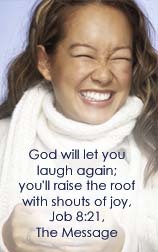 We are in a season of remodeling and I'm trying to cut back. You inspired me to do this a few months back when you left a comment on my blog that really took the pressure off me posting so much. Thank you! It is refreshing just to hear someone admit that they need rest.I feel overwhelmed at times,so therefore only post to the blog two or three times a week.The photo is one of restfulness.I will lift my eyes unto the hills.From whence comes my help. I too am with you on this. I used to post every day. I cut back to three times a week, but think maybe that is even too much. I am going to go down to twice a week. I want to be able to keep up with all the comments and visit their blogs, but I'm spread too thin when I post more often. Enjoy your time of rest. I am looking forward to mine. As always, you are an inspiration to all of us, Connie! Thanks for the beautiful picture and reminder. 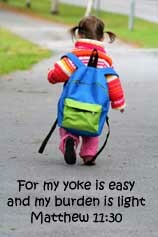 His yoke is easy and His burden is light...sometimes when I feel it's too heavy I have to look at my load again and see what I have done to myself to make it so heavy. Spectacular photograph Connie!! I have missed you! I do hope to see you soon. I really relate to your message about rest right now! What a blessing!